Hi Y’all! I am trying really hard to stick to this cleanse (if you can call it that), and I have to say, my willpower is not as great as I thought. I am really awful at waking up and making myself the breakfast it suggest, actually I have yet to do it, and I am going into week two of the two week cleanse. The oats, barley, and other breakfast foods are stowed away in a deep dark corner of the pantry, where they will probably remain until I make them into some granola concoction that I can grab and go in the morning. The one thing on the cleanse that I am sticking to is the dessert part. It takes A LOT of discipline, but somehow I manage to pull out this chocolate bark night after night, much to the delight of my girls. 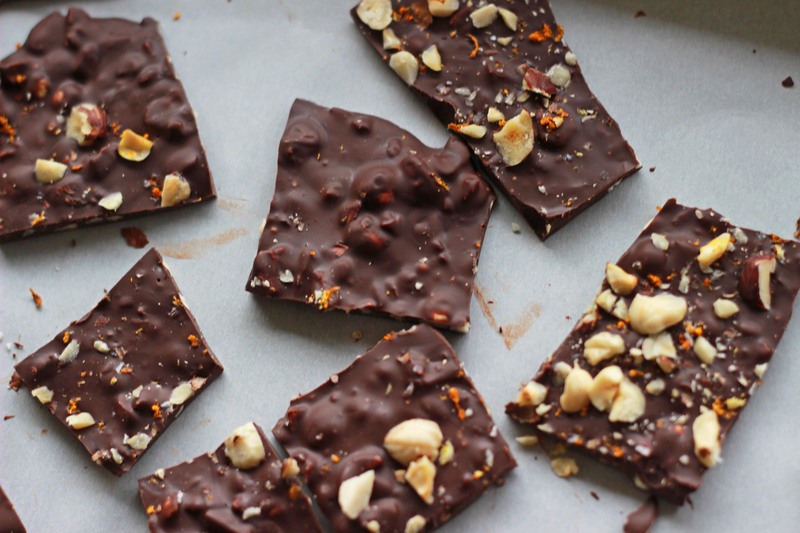 In honor of Valentine’s week I thought it would be kind to share said chocolate bark recipe because it is awesome and your Valentine would be super impressed to get this as a gift. Plus it is really simple to make, #winning! It is like an incredibly better version of a Ferrero Rocher. Line a large baking sheet with parchment paper. 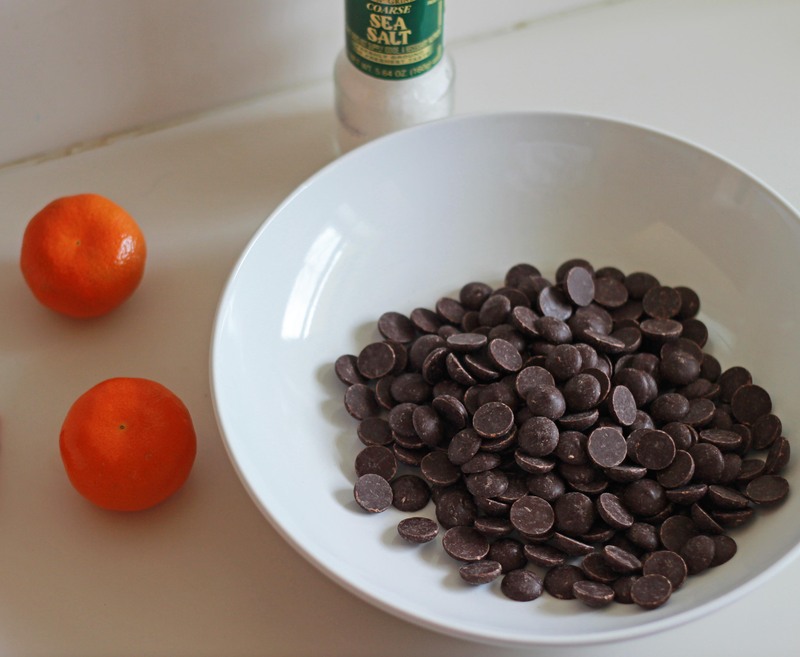 Place the chocolate chips in a microwave safe bowl. Microwave in 30 second burst, stirring in between until chocolate is melted, about a minute and a half total. Stir in 3/4 the chocolate chips and orange zest. Spread the chocolate mixture onto the baking sheet in a thin layer and sprinkle the remaining zest, nuts and a little sea salt on top. Refrigerate for half and hour before breaking the bark up into smaller pieces. Health food at it’s finest!